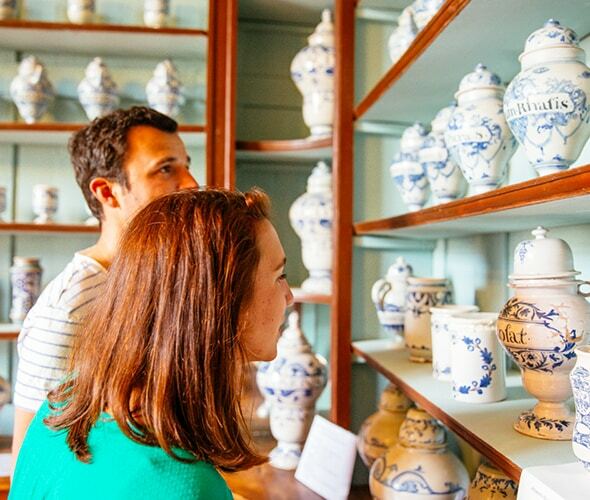 South Gironde is a delight for culture lovers! Museums castles, historical monuments... the region has a rich heritage. A few steps from the museum, the Apothecary, located in the former Saint-Antoine hospital, houses therapeutic equipment used in the 18th century: glassware, porcelain, pillboxes, etc. After your visit, don’t miss the small chapel located in the same building! In Villandraut, you’ll find the Musée Villandraut in the Maison Braneyre, one of the oldest houses in the town. This is the place to visit to learn about local history and admire the period costumes and furniture of South Gironde! Religious buildings are important in South Gironde. They recount the history of the region and are above all places of passage for the many pilgrims on the Vézelay Way. Bazas Cathedral is also a major stage on this itinerary. 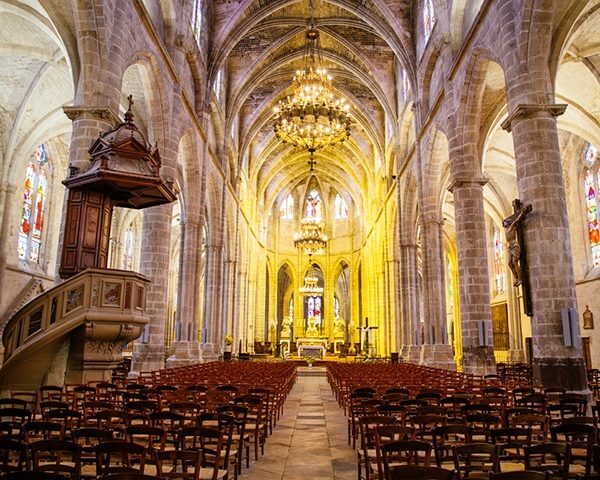 Don’t miss the collegiate church of Uzeste! This impressive edifice stands proudly in the heart of the village. The tomb of Pope Clement V lies here. Legend has it that there is even a secret crypt where the body of Pope Clement V was stored while his tomb was being built! The Basilica of Verdelais is well worth a visit. Beautiful statues and magnificent stained glass windows can be found inside. The grave of the famous painter Toulouse Lautrec is in the cemetery nearby. Lovers of stone will be enchanted by the charm of the small Romanesque churches. In the countryside, visit the Palombières de Louchats or hunting cabins, and learn about pigeon hunting, a deep-rooted tradition typical of South Gironde! There are numerous major heritage sites in South Gironde. If you are looking for an amazing view of the Garonne, head for the Château du Hamel in Castets et Castillon! Become a knight for a day at the Château Fort de Roquetaillade, in Mazères, a castle fortress also known as a château clémentin. The Château de Cazeneuve will surprise you with its buried treasures... troglodyte caves, secret nooks and crannies, a mysterious garden and the banks of the river Ciron. Take an afternoon to visit this iconic site in South Gironde! Are you an art lover? Château Malromé is guaranteed to please you. This famous home was the final residence of Toulouse Lautrec. Retrace the footsteps of this famous artist in Saint-André-du-Bois! In Saint-Maixant, you can follow in the footsteps of François Mauriac... Domaine de Malagar, a classified Maison d’Illustre (Famous Home), was once the author’s holiday residence and is now the property of the regional government. Explore the Château de Villandraut in Villandraut. 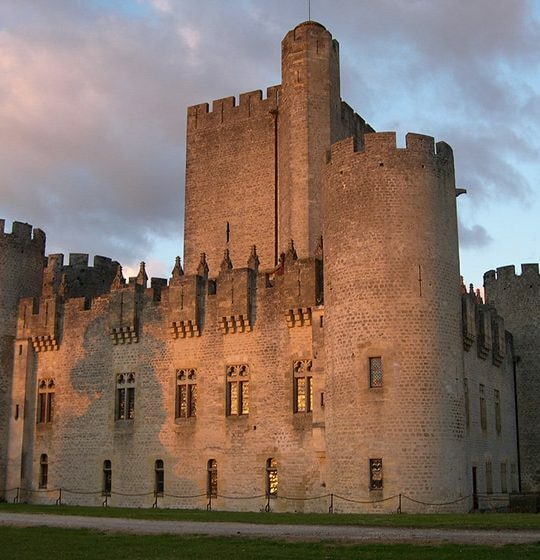 This château clémentin harks back to medieval life. Many festive events are organised here throughout the year, from the Fête des Fous (Feast of Fools) on 14 July, the firelight visits in July and August and the Murder Party at Halloween! Plenty of opportunities to have fun, so don’t miss out!